Tom Cruise feels the need for speed, and he wants you to feel it, too! Thirty years after Cruise’s star-making moment in TOP GUN, the actor got back into a fighter jet for the production of a sequel, TOP GUN: MAVERICK. The movie will explore the evolved art of aerial combat in an era of drones and tell the story of multiple generations of Navy pilots. Here’s everything we know about TOP GUN: MAVERICK. When Does Top Gun: Maverick Come Out? The sequel launches on June 26, 2020. Originally, the movie was going to be a 2019 release, but the shoot has been ongoing, off and on, since May of 2018. So, the June 2020 date was set to accommodate production. Is It Too Early for a Top Gun: Maverick Trailer? You guessed it! 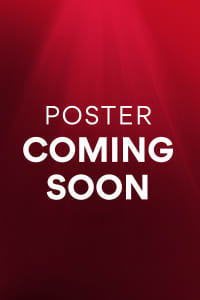 Maybe we’ll get lucky and see the first MAVERICK teaser this summer — maybe on the 4th of July? — but for any significant footage, we’ll have to wait a bit longer. There are quite a few fan-made trailers on YouTube, but don’t be fooled. They have no new footage. We do, however, have the image above, which Tom Cruise posted to Instagram on May 30, 2018, which was the first day of the MAVERICK shoot. What’s the Story in the Sequel? When original director Tony Scott was developing a TOP GUN sequel back in 2010, prior to his death, Scott said, “I don’t want to do a remake. I don’t want to do a reinvention. I want to do a new movie.” The idea was to look at how the era of dogfighting, which was celebrated in the original TOP GUN, had come to an end as drones became a primary technology for air-based combat. We do know that Pete “Maverick” Mitchell, played by Tom Cruise, is among the lead characters in the film and that he’s an instructor at the same Naval Air Academy where we first met him as a student. His one-time nemesis, Tom “Iceman” Kazansky, played by Val Kilmer, is also back. Miles Teller plays Bradley Bradshaw, a trainee pilot at the academy. He’s the son of Maverick’s late partner, Goose. And Glen Powell plays one of a host of other trainee pilots as well. So, we’ve got a couple of generations of Navy men, and they’re separated by decades of change in which the entire way we fight wars has been altered. Expect that to have a massive effect on the characters. 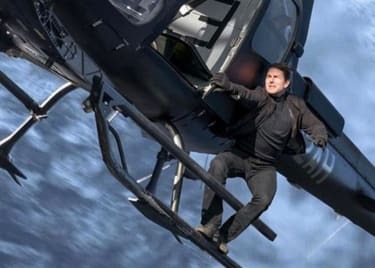 Oh, and on the screenwriting side, Cruise’s regular partner, Christopher McQuarrie, had a hand in the script. The full screenplay credits go to Peter Craig, Justin Marks, McQuarrie and Eric Warren Singer. 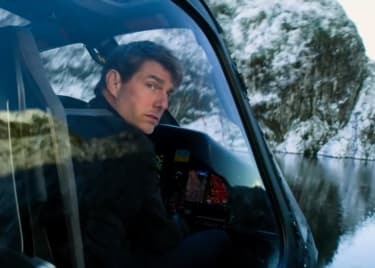 Jerry Bruckheimer, who produced the 1986 original and also made Cruise’s film DAYS OF THUNDER, has been almost as determined as the film’s star to get TOP GUN back in the air. He’s producing the movie. While original co-star Kelly McGillis won’t be back, Jennifer Connelly (seen above in Joseph Kosinski’s ONLY THE BRAVE) will be on hand as a single mother who runs a bar at the Navy base — chances are she’ll take an interest in Maverick. We’re excited to learn more about the roles Ed Harris and Jon Hamm have in the movie, and TOP GUN: MAVERICK also features hotshot young talent like Lewis Pullman (BAD TIMES AT THE EL ROYALE) and Manny Jacinto (“The Good Place”), in addition to Miles Teller and Glen Powell. 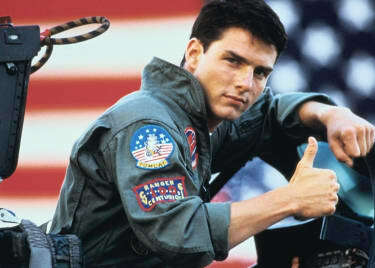 TOP GUN: MAVERICK leaves the runway on June 26, 2020.